Apparently, the Star Trek franchise could boldly go where it has never gone before: the mind of Quentin Tarantino. Yahoo!, Deadline and Rotten Tomatoes are among some of the orgs that have reported that Tarantino pitched a Star Trek movie, and that both Paramount and J.J. Abrams bought into the idea – as well as to the Tarantino condition that the movie must be R-rated, because… Well… Duh! Patrick Stewart, in an interview with The Hollywood Reporter (also reported in Nerdist), said that he wants to work with Tarantino, and would love the opportunity to play Picard in a Tarantino-directed Star Trek movie, provided there was room for him in the script. Deadline’s report suggests that “The Revenant’s” Mark L. Smith is the leading prospect to write the script, though there are several well-known writers all vying for the job. Some scribes have pointed to Tarantino’s apparent adoration for past Star Trek episodes, namely the The Next Generation episode, Yesterday’s Enterprise, and classic Star Trek episode, The City on the Edge of Tomorrow, suggesting that these could be the plot basis for a Tarantino Star Trek. Having a director reproduce a past tv show episode into a full-length motion picture is not out of the norm, as Michael Mann’s movie adaptation of “Miami Vice,” which featured Colin Farrel and Jamie Foxx, was basically a modern movie version of season one’s episode, Smuggler’s Blues, from the classic 1980s tv show, which Mann developed. Both of the aforementioned Star Trek episodes are considered two of the best in the history of the franchise, and excellent science fiction stories. However, the notion that either are, or could be, the plot basis for a Tarantino Star Trek is pure speculation. In reading different published stories about Tarantino potentially making a Star Trek movie, I have to say that some of the comments from fans show there is a strong conflict about a Tarantino Star Trek. The conflict aside, many have been funny. To answer the second question, which is easy: I have no objection to a Tarantino Star Trek. Because I have no objection to changes that have been made to other tv shows I’ve enjoyed, or movie remakes from popular original films, provided they are done well. At the end of the day, my opinion about a tv show or movie (original or remake) is based on whether or not it is entertaining – which comes down to story, acting, and production. I have often referenced the reboot of Battlestar Galactica, and of the many character and story changes (including but not limited to the large number of women who assumed parts originally played by men in the classic series) that made it one of best science fiction series ever. Doctor Who also recently broke with (could it be 5 decades?) tradition and cast Jodi Whittaker as the first woman to play The Doctor, though her success or failure in the role is TBD. The answer to the first question is a somewhat complicated creative exercise, but a fun one, to be sure. In a unique way, Tarantino has become a master of roller-coaster suspense and creative story-telling, in addition to mind-bending violence. Tension rises, falls, and then accelerates back up – creating a crescendo of tension that is only resolved by an intense display of gore. The opening chapter in Inglourious Basterds is a great illustration of this. What’s more, Tarantino uses many cinematic styles to inject layers of humor, as well as uniqueness to his films. This can only mean that anything you have really known about the Star Trek franchise can be thrown out the window. While there will need to be some core elements preserved (one would think), there is a good chance that the next Star Trek will be monstrously unique in ways that we can only imagine. I think this includes stepping away from the cast who have done the last few Star Trek movies – though I have no inside information on this. Never the less, just sit and imagine Brad Pitt as Captain Kirk. That said- it is too simple to see the movie opening with “Chapter One: Once Upon A Time On Kronos… The Klingon Homeworld…” Though I would smile a mile wide if that happened. 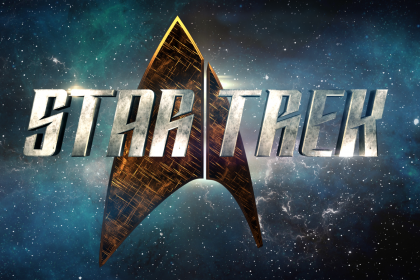 Got thoughts on how Tarantino will re-make Star Trek? Maybe how to take a particular Star Trek episode and Tarantinoize it?